Winnipeg, like most North American cities, has been shaped by the automobile. City planners designed the urban environment around the idea of mobility, and the social and work life of the population followed. The car became a necessity rather than a luxury, our environment demanded that we drive. So what does it mean, living in a car-based society, to make a conscious choice not to drive? 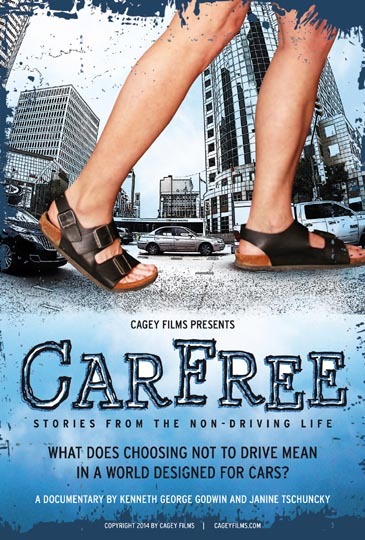 In CarFree: Stories from the Non-Driving Life, a number of Winnipeggers speak of this choice and effect it has had on their lives. From mothers with young children to social activists, from artists to human rights workers, they share their reasons for choosing not to drive and the practical consequences in terms of work and social relationships. This leads to larger questions about the individual’s relationship to the environment and finally to the ways in which this choice shapes them in philosophical and spiritual terms. In recent years, a growing global movement has begun to look for alternatives to private cars. By throwing light on this aspect of modern life which remains largely unexamined – and unquestioned – the people interviewed in CarFree argue for the importance of making conscious choices about the ways in which we live. 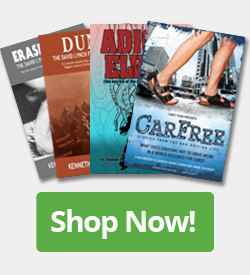 CarFree: Stories from the Non-Driving Life from Kenneth George Godwin on Vimeo.